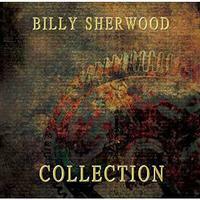 This new compilation album seems a great way to sample Billy Sherwood’s solo output. For those who have all his previous discs, it includes two new songs just for this set. I’d say it’s a good cross section of music. It should be mentioned that I reviewed the majority of these songs on their original albums. For the sake of consistency the track reviews of those here are adapted from the original reviews. This song comes from The Art of Survival. It’s on the mellower and more melodic side of things. It is pretty slow moving, but still quite dramatic. The arrangement is pretty lush, and I really like this cut a lot. When it works out to a different section around the four minute mark a Peter Gabriel reference seems to fit. There are also some elements here that call to mind Nektar a bit. Coming from At the Speed of Life, This is a powerful cut that starts off in fairly atmospheric and moody ways. It grows out into a slow moving, but potent progressive rock jam that has a lot in common with Open Your Eyes from Yes. Actually, this is quite a dynamic cut, and it makes its way through a number of intriguing changes. There is a section later (the one that eventually ends it) that even reminds me quite a bit of The Buggles. It’s one of my favorite tracks on the original disc. This comes from the album The Big Peace. It starts with a phone ringing, and then it’s obvious that a phone psychic is on the other end of the phone. The music power in with a crunchy edge, but drops back a bit for the verse. This is a bit harder edged kind of thing and there are some guitar bits that make me think of 80s/90s era King Crimson, but it’s tempered with more melodic prog. This is a cool cut that’s quite dynamic and powerful. There are some more bits of phone ringing and soundbites at various points here. Originally released on Divided by One, this comes in with a real prog element right at the start. It works out from there through some great shifts and turns. This definitely makes me think of Yes a lot. I love the climbing section that takes it at a couple points. Later in the piece there is a dramatic movement with a real symphonic sound to it. It almost makes me think of a cross between Emerson Lake and Palmer and ELO. This song was originally released on the No Comment album. The song comes in with a rather stripped back arrangement that’s less prog than it is mainstream rock. There are some prog elements at play, though. That’s particularly true when the arrangement fills out a bit. That said, I can make out a lot of Beatles on this. There are also country elements (particularly in some of the guitar bits). This one stays mellower than a lot of the other music. I love some of the intricate picked guitar later (that doesn’t have any kind of country element). Coming in like what one expects from Sherwood, this feels like something from Yes’ Open Your Eyes era. It alternates between an energized melodic movement and something akin to balladic. This moves along in an organic way, but has plenty of shifts and changes nonetheless. It’s got a cool groove and an accessible texture. It was originally released on the Oneirology album. Coming in tentatively, this powers out to a hard rocking progressive rock groove. It has both an accessible air and a definite prog rock texture at the same time. There’s a mellow instrumental section later that really feels Yes-like, but a harder rocking guitar takes it in different directions. There’s a cool driving movement later in the piece. This song comes from the album of the same name. One of two songs new for this album, this has a wall of vocals at the start. Then it shifts to something that feels at once a bit like The Beatles and OYE era Yes. As the vocals enter, the cut feels a bit like Peter Gabriel in some ways. This piece is definitely less proggy and more mainstream rock than a lot of the music here. The closer is also exclusive to this album. It is a melodic modern tinged prog cut with lots of vocals and layers of sound. There are shifts and changes, and it is very much what you would expect from Billy Sherwood.